When Private Companies Hire Off Duty Police Officers as Security; Who is Liable When Things Go Wrong? 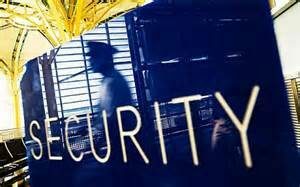 Physical Security Online > Security > Legal > When Private Companies Hire Off Duty Police Officers as Security; Who is Liable When Things Go Wrong? Should Campus Security and Safety Officers Be Armed? The practice of private businesses hiring off duty police officers as security officers is nothing new. All across the country you can find public police officers (municipal police officers, deputy sheriff’s , etc.) working during their off duty hours for private businesses as private security personnel at sporting events, shopping malls, hotels, banks, and other private events. Many private companies like hiring off-duty police officers for security because they believe a police officer in uniform will demand more respect from the general public and have more of a deterrence effect than that of a private security guard. They also feel that an increase in uniform police presence results in an overall increase in real or perceived safety. Sometimes these off duty cops are wearing the official uniform of their agency and carry the equipment issued by their respective agency. Most of the time the general public has no idea these officers are there to protect the private interests of the company they are “moonlighting” for and are actually getting paid by the private business. 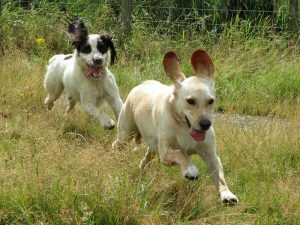 Because working security can involve stopping and apprehending persons suspected of committing crimes and intervening in incidents, sometimes things can go wrong. Someone believes they were unlawfully deprived of their liberty, personal property gets damaged, or someone gets injured or even killed. When things go wrong, the aggrieved party often sues. Typically, the tort action names the private employer and the public police department as defendants. Over the years there have been a number of Federal and State court decisions addressing the issue of who is liable for the torts of public police officers working secondary employment for private employers. As it might be expected, there is no bright line rule with courts in different states rendering different rulings and liability always hinges on the particular facts of each case. Respondeat Superior and Agency Law. While there are a number of legal doctrines under which an aggrieved party can seek to recover damages, in general terms, plaintiffs often seeks to recover damages on the legal doctrine of Respondeat Superior and traditional Agency Law. This article is the first in a series of articles and will examine a leading cases regarding liability of off duty “moonlighting” officers and their private employers under the doctrine of Respondeat Superior. 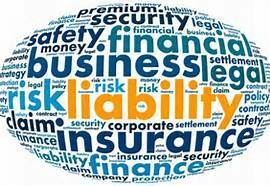 A second article will discuss liability under traditional Agency Law. The doctrine and application of Respondeat Superior can sometimes get complicated and law students often spend many hours exploring it, but in very simple terms it is a legal doctrine that holds an employer or principal (i.e., “master”) legally responsible for the wrongful acts of an employee or agent. In Melendez v. City of Los Angeles, 63 Cal. App. 4th 1 (1998) two off-duty Los Angeles Police Officers were hired by a private company to guard money collected from ticket sales for an “underground” warehouse concert. The concert was subsequently broken up by on-duty police and some ticket purchasers requested refunds. When the ticket sellers refused to make refunds and a crowd formed, the two officers working security ordered everyone to “be on their way.” When the crowd did not leave the officers identified themselves as Los Angeles police officers and displayed their police badges and “police approved” guns. From this point on the facts in the case were disputed. Suffice to say, a confrontation between one of the persons seeking a ticket refund and the off-duty officers followed and one of the officers ended up shooting and paralyzing the person. Plaintiff brought actions against the City of Los Angeles under the theories of: Respondeat Superior for the actions of the officer, failure of the City to adequately supervise the officers, and violation of the Civil Rights Act under 42 United States Code Section 1983. After trial, the jury found the City liable under the respondeat superior doctrine and awarded a $9,250,000 judgment against the officers and the City of Los Angeles. The City of Los Angeles appealed. On appeal, judgment against the City of Los Angeles was reversed with directions to enter a new and different judgment in favor of the City of Los Angeles. 1. Who was the “Master” of the officers at the time of the incident – the City of Los Angeles or the private employer? 2. When the tortuous acts occurred, were the officers acting within “the scope” of their employment as Los Angeles Police officers? If the City of Los Angeles was the Master of the officers at the time of the incident and if the tortuous acts of the officers occurred within the scope of their employment, the doctrine of respondeat superior would be applicable. If not, the officers were merely performing a private contractual duty at the time of the incident and there can be no respondeat superior basis for City liability. if force is intentionally used by the servant against another, the use of force is not unexpectable by the master. After lengthy analysis, which included examining various California statutes pertaining to the authority of off-duty officers, the court concluded that the officers retained their statutory police authority while off-duty, even though they were working for a private employer. However, that fact alone was not determinative. Additionally, the fact that the officers verbally identified themselves as police officers, displayed their police badges and police “approved” handguns, was not sufficient to persuade the court that the officers were acting on behalf of the Los Angeles Police Department. Under the totality of the circumstances: (1) no exercise of control or ability to control the physical conduct of the officers; and, (2) officers primary intent was to benefit the private employer; the court concluded that at the time of the incident, the officers were serving the interests of the private employer via a private contractual duty. The officers were, therefore, acting outside the scope of their employment with the Los Angeles Police Department and there can be no liability under the doctrine of respondeat superior. When a private entity hires an off-duty public police officer for security, depending on the circumstances, the police officer, the police department, the private employer, or a combination of the three may be held liable for the officer’s tortuous acts. Liability often hinges on whether the tortuous act occurred within the scope of employment. ° Who had control over the officer’s actions? The right to control is not necessarily as important as the principal’s exercise of control over the agent. ° The fact that an officer was off-duty, in or out of uniform, or using police department equipment, is not controlling. It is the nature of the act performed, which determines liability. 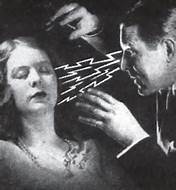 INVESTIGATIVE HYPNOSIS: Is it effective or completely bogus?